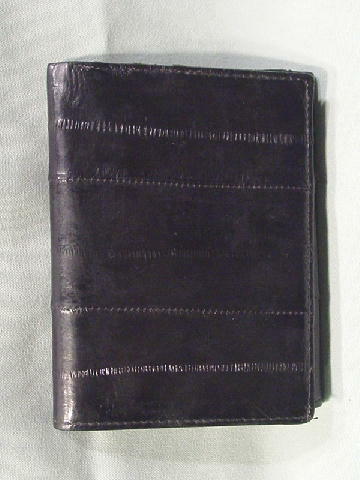 This vintage black eelskin (billfold) wallet has two back full compartments to hold your dollar bills, lined with a black and gray fabric with a tone-on-tone diamond shape design pattern. 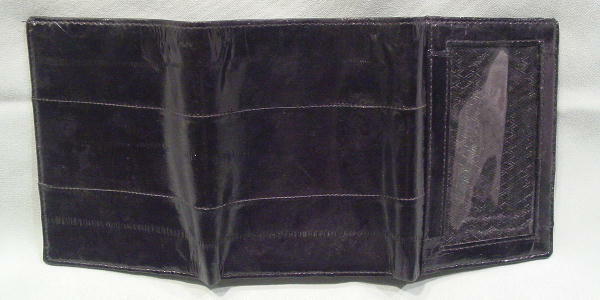 When fully opened, there is a left side clear plastic pocket (fabric lined), a center area with two vertical pockets, and a full compartment with a right side opening behind them. 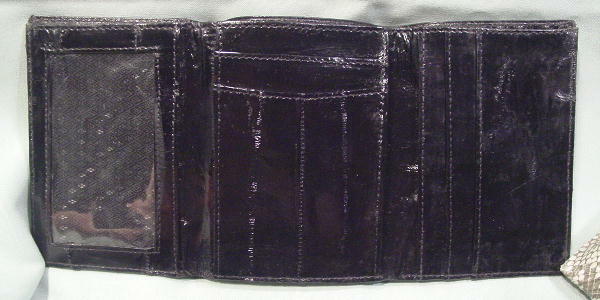 The right side has three credit card slots which are also lined. 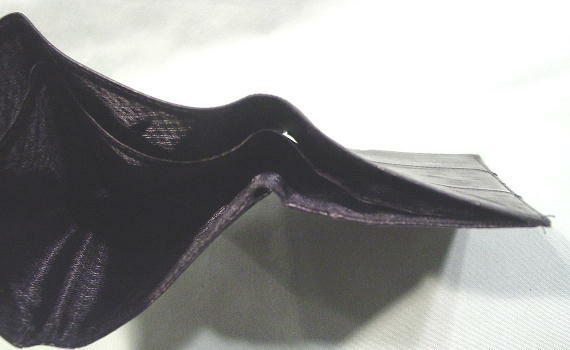 The outer left side has a clear vinyl pocket, just like the left inner side one. The light area on the plastic see-through pocket is a reflection from the camera flash.